Bleeding disorders or coagulopathy is a condition in which the ability of the blood to form clots is affected. Von Wilebrand disease, a genetic disorder affecting blood clotting affects 1% of the world population. 1 in 5000 male individuals is affected by haemophilia- a type of bleeding disorder. The incidence of Idiopathic Thrombocytopenic Purpura is around 3.3 cases per 100,000 per year. Individuals suffering from bleeding disorders have to be very careful with their diet. Turmeric is said to have blood thinning properties- it may influence the clotting of blood. Many individuals suffering from bleeding disorders or taking anti-coagulants are advised not to include turmeric in diet due to its anti-platelet or blood thinning property. So readers do commonly as, ‘Is turmeric a blood thinner?’ , ‘Is it safe to take turmeric with warfarin?’, ‘ Will turmeric affect my INR?’ etc. 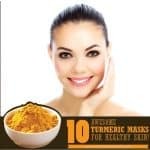 And these are very vital questions for those who want to seek the health benefits of turmeric but the evidence of turmeric’s blood-thinning activity limits its use in their condition. Typically in India, we use turmeric topically to stop bleeding from fresh wounds or cuts; so we thought of it as a procoagulant. But science has proven that turmeric demonstrates anti-platelet or blood thinning activity. Nevertheless, we decided to go through a rigorous review of the available scientific literature on this. This article investigates all the details regarding turmeric and its effect on clotting and platelet count and function. We have divided the article into multiple sections, you can skip to the sections you want to read by clicking on the Table of Contents below. What is blood clotting and how does it lead to clotting disorders? What is the treatment offered for bleeding disorders? 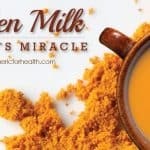 Does Turmeric Cause Blood Thinning? 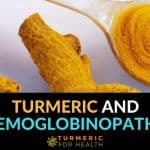 Does turmeric interact with blood thinning medications? How Turmeric Benefits In Bleeding or Clotting Disorders? I have a bleeding/clotting disorder, can I still take turmeric? Turmeric vs. Other Spices/Foods: Who increases bleeding risks? Is it safe to take turmeric in thrombosis? Is it safe to take turmeric when on blood thinners like warfarin? Is it safe to take turmeric in thrombocytopenia or bleeding disorder? But before we get to how turmeric influences blood clotting, let’s get a brief idea about the concept of blood clotting and how it aberrations in any part of the process could lead to a blood disorder. In case of an injury and rupture of the blood vessel, the clotting process occurs to stop blood loss. The result of this process is known as hemostasis. In the normal process, blood vessel constrict to stop blood flow. Platelets are then activated to stick to the site of injury and form a plug. Finally, clotting factors stimulate enzyme fibrinogen to form fibrin- a protein that stabilizes the clot. As the site of injury heals, the clot dissolves in the blood. Now the clotting process can be affected in two ways. When the clotting factors (protein required to activate platelets) are reduced, individuals experience bleeding. Certain disorders are inherited where genetic defects lead to a reduction in clotting factors and individual is susceptible to bleeding risk. One such example is von Wilebrand’s disease where the genes required to make von Wilebrand clotting factor are defective. Acquired bleeding disorders could be a result of medicines or due to systemic diseases. Thrombocytopenia is low platelet count and immune thrombocytopenic purpura is an autoimmune condition characterized by low platelet count. Also, abnormal production of blood clots can interfere with blood flow and obstruct a blood vessel. Thrombosis is a condition when clots are formed that plug blood vessel and block blood flow. Atherothrombotic coronary artery disease and deep vein thrombosis are the most common causes of death worldwide. Now that we are aware that errors in clotting process could increase the risk of bleeding or clotting, let’s go over the treatment for these conditions. For those susceptible to bleeding, treatment involves administration of clotting factor replacement agents or platelet replacement agent so as to increase the number of platelets and clotting factor for healthy clotting in case of injury. Other forms of treatment include invasive procedures, nutrition, and exercise. Turmeric/curcumin is blessed with a paradox like properties; so it is possible that based on concentration or environmental factors it may exhibit a blood-thinning effect in some cases and not in other cases. The following section discusses this in more detail. Traditionally turmeric is used in wound healing to control blood loss but science has proven that it has anti-platelet or blood thinning properties. This section is a brief summary of research on turmeric and its effect on clotting. In 1989 KC Srivastava found that extracts of turmeric and cumin inhibited platelet aggregation. Turmeric inhibited the activity of various agents involved in clotting processes such as thromboxane and arachidonic acid. Further, Srivastava et. al proved that curcumin in turmeric has anti-platelet activity. Shah et.al published a study in 1999 investigating the antiplatelet activity of curcumin. Curcumin inhibited platelet aggregation by interacting with various pro-coagulant agents like Platelet-activating factor and Arachidonic acid, thromboxane, calcium ionophore, and protein kinase C.
Researchers found that higher concentrations of curcumin were required to inhibit stronger activators of the blood clotting process. 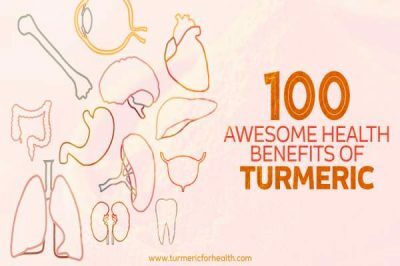 In accordance with previous literature, many recent studies have identified turmeric as one of the herbs with the ability to reduce platelet aggregation and dissolve clots. A study published in Phytotherapy Research, 2015 investigated the antiplatelet activity of curcuminoids. By anti-platelet activity, it inhibits platelet aggregation, which is crucial for blood clotting. It was found that curcuminoids (curcumin and other related compounds) inhibited platelet by aggregation by multiple mechanisms. Curcumin not only inhibits platelet aggregation but also inhibits platelet secretion. Kim et. al comment that the methoxy group in curcumin’s structure is responsible for its anti-platelet activity and consuming turmeric daily can help maintain anti-coagulant status. Turmeric oil has an anti-platelet activity which protects from cardiac injury and the active ingredients that confer this anti-platelet activity include ar-turmerone, α,β-turmerone, and Curlone. The dose used in the study was 500mg per kg body weight of the animal. In fact, ar-turmerone has anti-platelet activity more potent than aspirin. As mentioned previously, turmeric is used in India to stop bleeding on fresh cuts and for wound healing. A group of Indian researchers conducted a study to verify the effectiveness of the traditional remedy. Turmeric rhizome contains enzymes called proteases which breakdown proteins. Proteases and clotting factors are necessary for blood clotting. Therefore researchers decided to investigate whether protease in turmeric can affect blood clotting. Crude enzyme fractions of various turmeric species were prepared and lab tests were performed to assess its effect on blood clotting. Turmeric extract showed proteolytic activity or breakdown of proteins. To keep it simple blood clotting involves proteolytic activity- protein degradation. Fibrinogen is a protein that helps in the formation of blood clots. Soluble fibrinogen is broken down to form insoluble fibrin strands which help form a clot. Turmeric extract also showed the ability to breakdown fibrinogen which assists in clotting. Thrombin is a protease produced in the body to convert fibrinogen to the fibrin clot. The protease in turmeric extract’s had an activity different from thrombin as it couldn’t induce the formation of a clot from pure fibrinogen. However, when tested on human plasma, turmeric extract showed procoagulant activity. 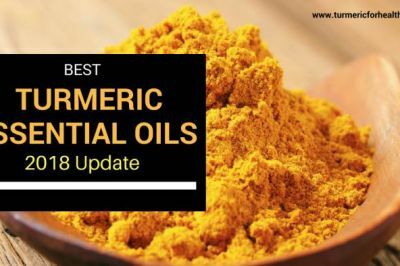 The procoagulant activity was significant as the turmeric extracts reduced clotting time from 172s to 88s (in case of Curcuma Longa or our regular yellow turmeric). Researchers concluded that crude enzyme fractions of turmeric have pro-coagulant activities which can be therapeutic in wounds and thrombotic processes. Due to theoretical evidence that curcumin has anti-platelet activity, most clinical trials assessing the effect of curcumin on various diseases exclude individuals who are on anti-coagulant and anti-platelet medicines from the study population. Lopresti et. al published a study in 2015 which demonstrated that 500mg curcumin (BCM-95) taken twice a day reduces depressive symptoms in major depression in 8 weeks. An interesting finding of this study is that urinary thromboxane levels were increased with curcumin treatment. Thromboxane is an enzyme that helps in clot formation and platelet aggregation. Increase in urinary thromboxane levels is a marker of platelet activation and clot formation, so these results actually indicate that a high concentration of curcumin extract has a pro-coagulant ability. Also, this observation was only in the curcumin group and not the placebo group. This could also be a result on curcumin’s anti-inflammatory property: it inhibits arachidonic acid a pro-inflammatory agent and precursor of thromboxane. Since current research suggests that depression is marked by inflammation this seems like a valid argument but it does not explain the possible increase in urinary thromboxane levels. The relevance of thromboxane levels in depression has been established yet; hence the researchers suggested the need of further studies directed towards this aspect. These findings direct us towards the pleiotropic nature of curcumin-one molecule having multiple pharmacological properties. Research already proves that curcumin has anti-inflammatory and pr-inflammatory property, pro-oxidant and anti-oxidant activity as well as immune stimulating and immune suppressing property. So is it possible that curcumin may have an anti-coagulant effect that is beneficial to cardiovascular health and the pro-coagulant effect that is relevant to wound healing? Most clinical trials on turmeric and curcumin exclude individuals who suffer from a bleeding disorder or are on anti-coagulants. Therefore curcumin’s anti-platelet activity has not been examined in humans at yet. Animal and experimental studies prove that both curcumin and turmeric oil has anti-platelet or blood thinning activity.This evidence points that turmeric may act as a blood thinner. However one contrast study proves that turmeric has pro-coagulant property which benefits in wound healing. Since this study was conducted in-vitro , it is difficult to comment whether this property of turmeric is limited to topical application only or to oral consumption as well. 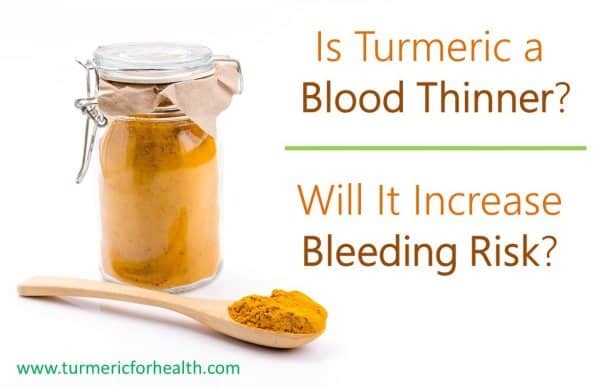 Since animal and experimental studies suggest that turmeric or curcumin are blood thinners, it is pretty logical to assess whether they would interact with blood thinning medications. This section covers available evidence on possible drug interactions of turmeric and common blood thinners. A study published in PloS One 2013, revealed that conventional anti-coagulants and anti-platelet drugs do have harmful reactions with some Chinese Herbal Medicine. This was not a clinical trial in humans but it reviewed the available literature on the effect of herbs on anti-platelet medications. 194 interactions were assessed and 155 of these were attributable to pharmacodynamic reactions- the herbs interfered in the therapeutic activity of the medicines. Turmeric was identified as one of the herbs that had an additive effect of the anticoagulant and anti-platelet medicines and thereby increased bleeding risk. Let’s go through what other studies have to say about the interaction of conventional blood thinners and turmeric. Liu et. al conducted an animal study where they assessed the effect of different doses of curcumin on the therapeutic activity of warfarin. The doses were 25, 50, 100mg/kg body weight. The study lasted for 7 days. It was found that a dose of 100mg/kg raised the maximum concentration of warfarin by 1.5 times. Interestingly when the action of different doses of curcumin combined with warfarin was compared with the action of warfarin alone, there was no difference in the effect on prothrombin time. Prothrombin time is a parameter used to measure the time taken for blood clotting. Contrary to expectations, curcumin had no effect on warfarin’s anti-coagulant or blood thinning action. It did not add to warfarin’s blood thinning effect. Liu et. al also studied the effect of curcumin on clopidogrel in the same animal study. The results were similar. The dose of 100mg/kg raised the maximum concentration of clopidogrel by 1.81 times but it had no effect on the drug’s therapeutic action on blood thinning. There has been one report that turmeric may interact with vitamin K antagonist- flunidione and may raise International Normalized Ratio (INR). INR is a parameter established by WHO to assess the effectiveness of anticoagulant therapy in inhibiting clotting. An animal study dated back to 1985 shows that 100mg/kg curcumin and 25mg/kg aspirin provide 60% protection from clot formation. Curcumin does show anti-platelet property like aspirin but there is no evidence if it hinders or adds to aspirin’s action. Based on currently available there is not enough evidence to suggest that curcumin may add to the blood thinning effect of anticoagulants like warfarin and clopidogrel. However it does interfere in drug metabolism. This may increase the concentration of drugs in the blood and on long term this can pose side effects. Therefore it is advised to avoid taking curcumin supplements at the same time as any medication. Consult your health practitioner before taking curcumin supplements especially if taking anticoagulants. Experimental studies suggest that turmeric impacts blood clotting- it may cause blood thinning or it may have a procoagulant effect. But how would turmeric actually impact a person suffering from bleeding or clotting disorder? Herein we discuss the possible therapeutic benefits turmeric’s anti-platelet or blood thinning activity holds. 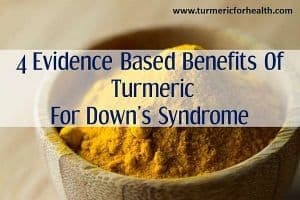 One thing that needs to be noted here is that some of the studies quoted in this section have not particularly assessed turmeric’s impact on thrombosis, thrombocytopenia or related conditions. The results are either secondary outcomes or indirect application of the study has been interpreted. Some are studies on an animal model. 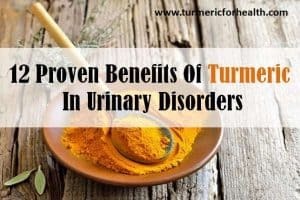 There is no clinical human study that suggests the benefits or negative implications of turmeric in bleeding or clotting disorders like thrombosis or thrombocytopenia. Curcumin has anti-thrombotic activity and this property can help in various conditions where there is a high risk of developing clots. Insulin resistance can lead to a state where there is an increased chance of developing clots. Animal study shows that turmeric oil reduces cholesterol levels and reduces thrombotic complications associated with it. Dietary supplementation of turmeric and ginger may help attenuate complications of high blood pressure associated with platelet activation. Scientists are thinking of designing drug releasing stents which would include the release of curcumin so as to prevent clot formation. Curcumin may also be beneficial in reducing clot formation in those requiring anti-arthritic therapy. Curcumin’s anti-platelet property can be beneficial in preventing clot formation in thrombosis or patients who require to maintain anti-coagulant status. However adequate research is required to confirm this in humans as well. Thrombocytopenia is a condition of abnormally low platelet counts. It could occur as a result of immune system errors or even due to a diseased state. Cancer and its treatment can lead to thrombocytopenia. A study was conducted assessing the effect of Meriva, a specialized formulation of curcumin in cancer treatment. 500mg Meriva was given for a period of 60 days. A significant reduction in the incidence of various side effects of chemo- and radiotherapy were observed and one of them was an improvement in platelet count. This shows that curcumin may actually benefit in normalizing platelet counts which have been reduced as a result of the diseased state. 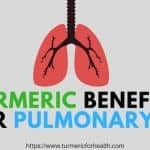 The efficacy of curcumin in autoimmune conditions has been documented and the combination of these properties may help in treating genetic or autoimmune conditions causing low platelet count. Curcumin supplementation can counteract disease induced reduction in platelet count. It can help increase platelet count in conditions like cancer. More research is required to assess whether this effect would be applicable to autoimmune or genetic conditions that cause low platelet count. High doses of curcumin are found to protect platelets by antioxidant activity. Curcumin also works as an iron chelator and has an advantage over conventional iron chelators- it does not cause side effects. This could benefit in conditions like hemachromatosis. Curcumin’s iron chelating activity may benefit in hemachromatosis and further research is required to confirm this. Curcumin is proven to improve antioxidant status in thalassemia by human study. As per current research, turmeric or rather curcumin does act as a blood thinner in experimental conditions. Before we get to the safety of taking turmeric in such blood-related disorders, it is important to know that we consume many natural foods and some herbs on a daily basis which have blood thinning activity but they do not pose any major bleeding risk. Apart from turmeric, many other herbal medicines are identified to have anti-platelet activity. Some of the common ones include St. John’s wort, willow bark, ginseng, Gingko, chamomile, devils claw, evening primrose, etc. Common food items which have anti-platelet activity include ginger, garlic, green tea, cranberry, red onion, purple grape juice, fish oil, pineapple, licorice, fenugreek, etc. Raghavendra et. al investigated the effect of bioactive ingredients of various spices on platelet aggregation. 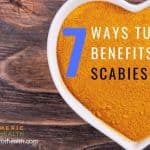 The components tested included eugenol (clove), capsaicin (chillies, cayenne pepper, bell pepper), piperine (black pepper, white pepper), quercetin (onion), curcumin (turmeric), cinnamaldehyde (cinnamon) and allyl sulphide (garlic). In fact eugenol was 29 times more potent than aspirin in preventing blood clotting. Consumption of 1 garlic clove (3g) daily for 2 months can bring down thromboxane levels by 80%. A study was conducted where women were asked to eat to 70g onion or 5g ginger daily for 7 days. Their blood was tested for thromboxane levels. Onion consumption led to 10% increase in thromboxane levels while ginger reduced thromboxane by 36%. Janessen et. al conducted a similar study but the amount of ginger was higher 15g raw ginger and 40g cooked ginger daily for two weeks but they observed no effect on thromboxane activity. A recent review published in Plos One 2015 shows that data on ginger’s anti-platelet activity is equivocal and requires further research. Interesting enough antioxidants of chocolate or cocoa are also associated with an anti-platelet activity. A review study reported that consumption of cocoa products in high doses inhibits platelet aggregation in both healthy and diseased patients. A clinical trial demonstrated that supplementation with cocoa antioxidants for 28 days decreased platelet function. Heptinstall et. al investigated this effect both under laboratory conditions and in humans. In the lab studies, cocoa antioxidants inhibited platelet aggregation and activation. Even consumption of cocoa antioxidant-rich beverage also led to significant inhibition of platelet function. Spices such as clove, garlic and ginger have shown anti-platelet activity in humans. Cocoa antioxidant consumption at high doses has been proven to inhibit platelet aggregation in both healthy and diseased individuals. No study in humans examines turmeric’s anti –platelet effect and currently available studies have not reported any such findings. In comparison to turmeric…. garlic, clove and chillies show significant anti-platelet property. Turmeric/curcumin supplements should not be taken in this condition unless advised by a health practitioner. If you are suffering from thrombosis or heart diseases which require you to maintain anti-coagulant status, then turmeric can actually be a safer alternative to conventional anticoagulants. But this requires medical attention so as to ascertain the appropriate dose of turmeric that will help maintain anti-coagulant status. Dietary doses of turmeric like 1/2 tsp spread over meals in the entire day should not pose such risk. Start with doses as small as 1/4 tsp. Since turmeric is a natural anticoagulant, it can benefit you in thrombosis. 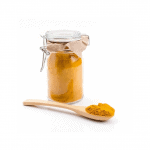 Golden Paste from turmeric powder or Turmeric Paste from fresh roots can help. You may consult a herbalist or naturopath prior. Many drugs, herbs, and dietary supplements have been identified to have drug interactions with warfarin. But a close inspection reveals different data. A common recommendation is to reduce vitamin K intake and stay away from green vegetables. A systematic review on this point published in March 2016 reveals that effect on anti-coagulation by vitamin K is only observed at high concentrations. Researchers suggest that instead of restricting dietary K intake it is better to maintain stable intake. Similarly, despite general recommendations to avoid cranberry juice with warfarin, a clinical trial found no such evidence. The same effect is plausible with small doses of dietary turmeric. ½ tsp of turmeric powder would be 2 grams and that would 80mg curcumin. 80mg curcumin will not be completely absorbed in the body so the amount reaching the tissues would be sufficient to have a therapeutic effect but not affect blood coagulation. So ½ tsp of turmeric powder spread over meals in a day is advisable if taking any anti-coagulants. And yes even 80mg curcumin can benefit health. 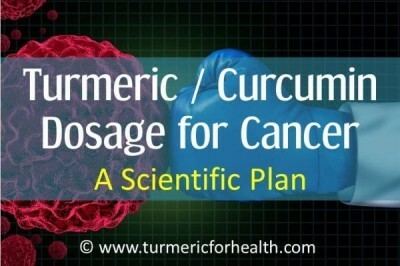 If you don’t believe me read 6 Reasons To Take Turmeric Even If You Are Healthy. Avoid taking turmeric or curcumin close to taking anti-coagulants. It will not increase the anti-platelet effect but will increase the concentration of anti-coagulant reaching the body which may be toxic. Find recipe links of Golden Paste from fresh roots and Golden Paste from turmeric powder here. Discuss and take advice from a health practitioner about introducing turmeric in the diet. Slow and stable introduction of turmeric in diet at small doses is advised. You may confirm with an herbalist or naturopath as well. In diseased states, turmeric is found to improve platelet count. However, this hasn’t been proven in hereditary or genetic conditions where platelet count is abnormally low or there is an increased risk of abnormal bleeding. 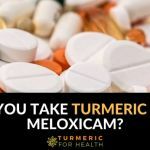 Again based on the current evidence dietary turmeric limited to doses such as 1/4-1/2 tsp a day should not pose any bleeding risk and may benefit. 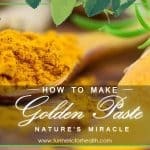 You can find Golden Paste recipe from turmeric powder or Golden paste from fresh roots here. Always start with small doses. Take an informed decision after consulting a health practitioner. A couple of readers have successfully used turmeric for thrombosis – that is preventing clot formation. They have reported utilising turmeric as a natural anticoagulant safely and are reaping health benefits as well. One reader took some precious time off to share her experience with turmeric as an anticoagulant for the benefit of the readers. Here is a summary of what she shared with us. I was diagnosed with Sickle cell anemia at the age of 4 and it is a common genetic condition. This increases the tendency of me developing blood clots. This majorly presents with pain and lack of oxygen supply due to clot formation. I also suffer from avascular necrosis of major joints which affects my gait. I have suffered from silent stroke as well. Currently I take 2 medications for pain management oxycodone and methadone. I have been prescribed anticoagulants previously. I have a power port implanted in my chest in case there is a need for immediate blood transfusion. I take turmeric, curcumin, Holy Basil, garlic, white willow bark and ginger for natural blood thinning. I have started taking turmeric since early 2015. I add it to my food. I also take curcumin supplements and take about 2000mg a day. I have not experienced any bleeding risk with turmeric or curcumin consumption. If I do get a cut it takes awhile to clot but this could be a result of cumulative effect of the herbs and turmeric as well. Currently I am taking pain medications and NSAIDs even when I am taking turmeric but no anticoagulants. Turmeric definitely prevented clot formation and it also helped with sickle cell anemia. It brought about a reduction in joint pain and inflammation. I reduced the use of blood thinners after I started taking turmeric. I still have heparin introduced via the port every 3 months but it is not sufficient to affect the clotting factors. 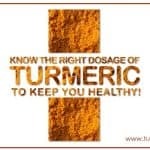 Turmeric has not caused any abnormality in my blood related parameters as per my knowledge. 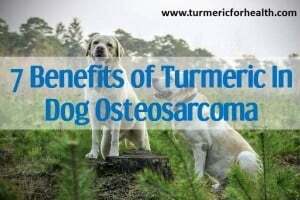 I have experienced other health benefits with turmeric such as reduced inflammation, reduced joint pain and stiffness, reduced fatigue and increased skin elasticity and hair growth. We thank our beloved reader for sharing her experience and we wish you great health! Her message and her health experience is shared for the benefit of all and it is not intended to direct any of your health decisions. You alone with the guidance of your health practitioner is the best judge of your health. Curcumin and other curcuminoids found in turmeric have anti-platelet activity and this can reduce blood clotting. This is beneficial in thrombosis and heart diseases. Curcumin may not interact with anti-coagulants when taken concomitantly and therefore not excessively reduce clotting ability. However, it interacts with drug metabolising enzymes and thereby increases the concentration of the medicine and this may prove toxic. Anti-platelet activity of turmeric is observable only at high concentrations hence turmeric supplements should be avoided in a bleeding disorder. Curcumin may increase platelet count in conditions such as cancer but this has not been confirmed in case of autoimmune or genetic conditions that cause low platelet count. Turmeric has procoagulant property relevant to wound healing. Taking turmeric in diet up to doses of ½ tsp is safe, but this is a decision which the patient has to take himself with the consultation of health practitioner and self-monitoring. 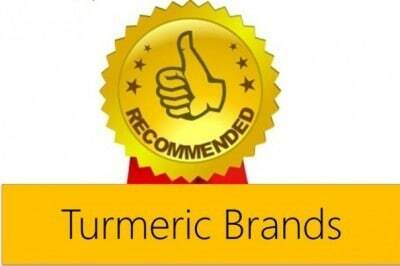 If you need help identifying good brands of turmeric powder please check our Recommended Organic Turmeric Brands. The current evidence available on curcumin’s effect on blood thinning is equivocal and this looks like an effect that would be concentration dependent. 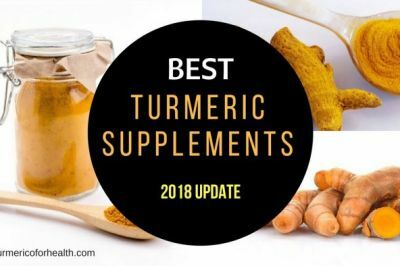 We have put together all the possible evidence’s regarding turmeric and curcumin’s blood thinning activity and we wish awesome health for all our readers! 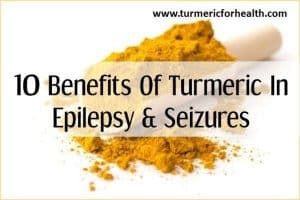 But please consult a health practitioner or a professional in herbal medicine as well as depend on your personal informed decision before taking turmeric if you are suffering from a bleeding or clotting disorder. If you are taking turmeric in case of a bleeding or clotting disorder, do share your experience with us and leave your comments below. What type of anticoagulant blood test would tell if a natural protocol blood thinner is working? Seems all the tests are devised to check this depending on what drug one is on. Would the home test that is used for Warfarin or Coumadin work? I’ve been taking daily dashes of turmeric spice for a few years. Then I read that more is better and I found a cheaper source when buying it in bulk and a regular store rather than the organic bottled spice that I’ve been getting at Whole Foods. With the much less expensive turmeric I then took a much larger dose–at least a full tablespoon of it. By the next day at least I had the largest bruise ever at the outer base of my left thumb. In fact I’ve never had a bruise like that there, especially with no obvious cause of it. I hadn’t hit my hand on anything or bumped my thumb. The only thing is i do some pushups while using these hand grips. In any case, the extra turmeric is the only likely cause that i can see for it. I have been taking 150mg of Pardaxa twice daily (7am and 7pm) due to a unexplained DVT, for the last 18 months, is it ok to continue to take 1/4 teaspoon of turmeric at lunch time. I am 70 years reasonably fit and other than my DVT am in good health. Hi,recently my father is suffering from GI bleeding case of NSAID. Dr. stop his blood thinner because it was causing internal bleeding. My father have TRIPEL VESSEL DISSEASE(TVD),diebetes,cml n thyroid. Can i give him termeric as blood thinner? Please help me out from this. 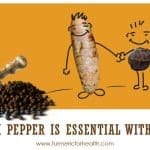 Turmeric does protect heart health, benefits in diabetes and also aids in healing of gastric lesions caused by NSAIDs. 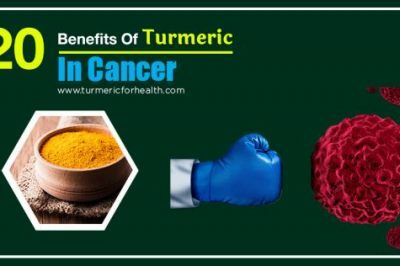 Turmeric can help as an alternative blood thinner but you must consult a health practitioner before using turmeric supplements for your father’s health condition. I’ve been wondering about turmeric as a blood thinner because my husband is diabetic and has had two heart attacks. He is on clopidogrel. I use a lot of turmeric (bulk) but one time after consuming a casserole that contained a fair amount of turmeric he had a significant nose bleed. For several months I tried cutting back on it but lately once again I’ve been using it in large proportions and last evening as he was eating, he developed another nose bleed. As before I decided to cut back on his portions as twice is too close for comfort. Hi. As we have mentioned in the article dietary turmeric say 1/2 tsp spread over the day in meals should not pose any risk. But since your husband has experienced bleeding events it is best for him to avoid turmeric in diet. I would like to know how curcumin affects blood pressure and blood pressure medications. Hi. Turmeric can help lower blood pressure in hypertension. It is recommended not to take turmeric capsules with blood pressure medications. Curcumin interferes in drug metabolism and this may affect the absorption of any medication including blood pressure medication. Therefore it is advised to not to take them together and maintain 3-4 hour gap. Consult a health practitioner before taking turmeric supplements.